Lanes which used to be quiet and safe have turned into rutted quagmires, sharp stones and boulders or exposed slippery rock. Horse riders in the Peak District are campaigning against the danger to riders being caused all over the Peak District by off-road motor bikes and 4x4s. The Peak District is easy to reach from some of the UK’s major conurbations and it is very popular with off-roaders. The Peak Horsepower bridleway group says the scale of the problem is now so great that riders are being forced off unsurfaced lanes and byways all over Peak District National Park. Lanes which used to be quiet and safe have turned into rutted quagmires, sharp stones and boulders or exposed slippery rock. Riders no longer use the lanes because they will not risk their horses falling or getting lamed, or because they are so afraid of having an accident caused by vehicles coming fast around blind bends on narrow lanes. One of the aims of Peak Horsepower campaign is to get Derbyshire County Council (DCC) to use Traffic Regulation Orders to get vehicles off all unsurfaced lanes where riders and walkers are at risk. Other highway authorities do this. So far DCC has done nothing. 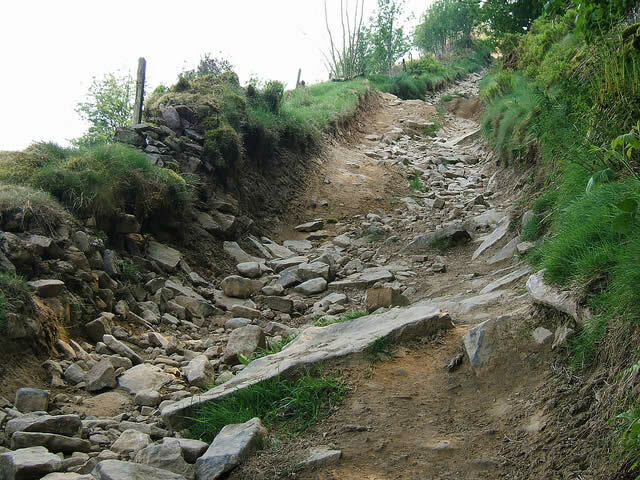 Derbyshire County Council is consulting the public on a draft new policy for dealing with offroading. Peak Horsepower, Friends of the Peak District National Park and the Peak District Green Lanes Alliance all say that the draft is very weak, favours off-roading and ignores the needs and rights of horse riders and walkers. You can help improve the draft and make it better for horse riders by taking part in the consultation. If you would like to help, email simon.spencer@derbyshire.gov.uk. Tell him you are a rider and explain why and in what circumstances off-road vehicles on unsurfaced lanes and byways are a danger to horse riders. Ask him and Derbyshire County Council to take steps to keep horses and riders safe by excluding vehicles from any lane in Derbyshire where there is a risk of their causing a riding accident.